I cut the cable cord roughly three years ago and I’ve never regretted it. 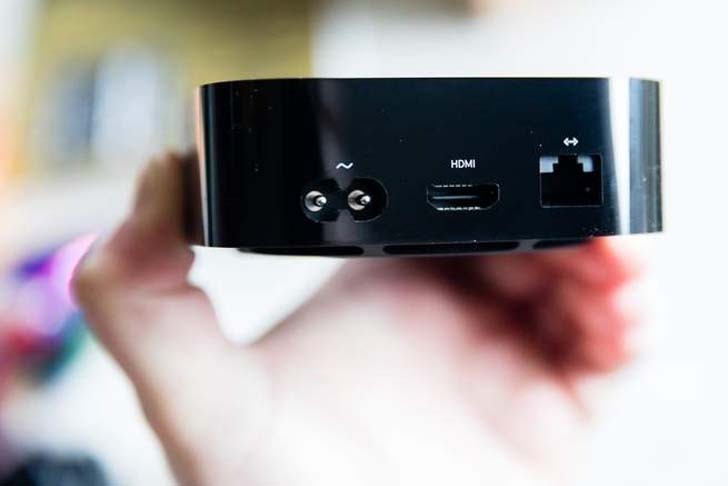 I have, however, accumulated a small village of set-top boxes, media sticks, Chromecasts, gaming consoles, and just about any other HDMI-connected rectangle that can spit out a Netflix stream. For the past two weeks, however, I put all of them on hold and committed fully to the Apple TV 4K. At $179 (for the 32GB model, the 64GB box pushes the price to $200), it costs almost twice as much as the excellent Roku Ultra, which means it should do just about everything the average cord cutter desires. Is your TV up for it? Before you read any further, you should consider whether or not your TV is ready for a box like this. The extra money you’ll spend on the 4K model (Apple sells a non-4K version for $149) leverages TV features like 4K resolution and HDR color. If your TV isn’t equipped with those features, you’re probably better off sticking to the lower model unless you’re willing to pony up for a new display, too. The outside of the box is pretty much identical to its predecessor, minus the inaccessible USB-C port that used to be on the back for service purposes. Inside, however, things have changed. The box is built around Apple’s A10X Fusion processor, which it also uses in the iPad Pro. This is a two-generation jump up from the A8 found in the previous model, which is where that 4K-pushing power comes from. A USB port for charging the remote would be a nice addition to the Apple TV's backside. The connections have been upgraded as well, including a Gigabit Ethernet port, Bluetooth 5.0, and 2.4GHz and 5 GHz Wi-Fi bands. I tried both wireless and wired connections and found the hardline connection was, unsurprisingly, faster and more reliable. The wireless works as well, it just sometimes required a little more waiting for things to load, especially if others were streaming on the network. The new TVOS 11 update adds some functionality of its own, but it’s nothing you can’t also get on the cheaper and older versions. You can now pair AirPod headphones with an Apple TV, which is nice, but also a lot less practical than the simple headphone jack baked into the remote of the Roku box. When you feed the Apple TV 4K the high-res, HDR content it craves, it looks and sounds fantastic. It’s as good or better than any other streaming box I have used. The high-dynamic range colors pop, especially using the Dolby Vision tech. Oddly, in terms of sound, the Apple TV 4K isn’t compatible with Dolby Atmos, which is currently one of the most popular audio platforms for home theater. The Apple TV 4K upscales content that isn’t up to its quality requirements when necessary, but you can still tell the difference between the native high-res content. This upscaling allows the Apple TV to stay in Dolby Vision mode, regardless of content. It can be a little confusing, but Apple says it prevents compatibility errors and weird screen glitches caused by switching signal types. If that’s the case, then it works because I didn’t have any issues in that regard. You will, however, probably notice some 1080p content doesn't look perfect. The difference is minimal, but if you're a stickler for things like digital noise in a picture, it may bug you. The Watch Now screen recommends content you might like, so if you want to watch Wonder Woman for the 30th time, you can get right to it. This is where things get tricky if this is your only cord-cutting solution. Right now, the iTunes store has an impressive selection of 4K HDR content available for $20 to purchase or $5.99 to rent if you want new releases. There are sales, though, and I rented Kong: Skull Island for $3 and got to enjoy the full HDR display. You also don’t have to pay extra to upgrade movies you already own to get the best possible picture. The biggest negative right now, however, is the lack of Amazon content, but Apple says compatibility is coming in the next few months. But, even then, you’ll have to buy the content from a computer or your phone, and then watch it on the Apple TV because purchases are iTunes only. This isn’t new for Apple users, but it’s still inconvenient. Same goes for other services like Vudu. YouTube is another outlier in that you’re capped at 1080p, even though there’s a lot of 4K and beyond content up on the service. The issue can be chalked up to a codec incompatibility that likely won’t be solved anytime soon, so this isn’t the box for you if YouTube is a primary content source (for that Chromecast would be a good choice). Other notable omissions in 4K are Disney and Marvel movies, so if you're a Snow White or superhero buff, you'll have to look elsewhere, at least for now. Lastly, you can’t directly plug in a hard drive like you can with Roku and other boxes like the Nvidia Shield. It shouldn’t come as a surprise, but it’s likely a deal breaker for some users. It took me five minutes to find this remote before I could take this picture. It's still easy to lose. The remote is basically the same as the one that came before, only the “Menu” button now has a silver circle around it to make it easier to identify. You still get the microphone button, the touch-sensitive click pad for swiping around content, the volume buttons, and the Home button. It’s also still extremely tiny and easy to lose. The remote’s battery lasts well over a week on a single charge, but the fact that there’s no USB port to charge it still seems so odd. (It has a Lightning connector, so you charge it that way, like an iPhone.) 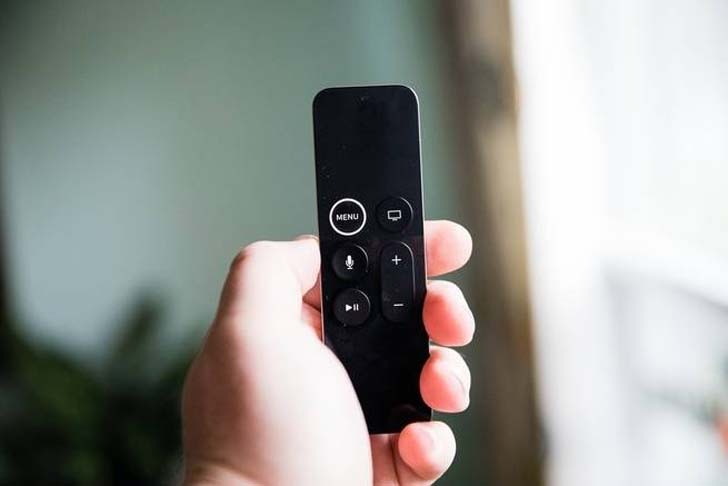 The Apple TV Remote app does, however, have a tighter integration into iOS 11, putting controls directly in the Control Center, so you don’t have to navigate to the TV Remote App. Asking Siri to find content is still impressively effective. My typical Siri requests on a daily basis are met with hit-or-miss results, but the digital assistant thrives in the TV settings. Siri found the latest episode of The Goldbergs in Hulu, and Big in the iTunes video store without a hiccup. You can also ask Siri specifically to show you 4K HDR content if you just want to make the most of your fancy streaming box and snazzy TV. A nice touch is the fact that the OS can recognize which apps you have subscriptions for, so it won't prioritize Game of Thrones content on your home screen if you can't actually watch it. When I first started writing this review, the most obvious comparison was to the Roku Ultra, which is so much cheaper that it seemed unfair. But, using the Apple TV 4K more made me realize that the two are very different in reality. While the Roku’s compatibility with different services is superior, it lacks access to the iTunes store, which is actually the best place to get 4K HDR new releases, at least for the moment. The Apple TV 4K also has access to a wide breadth of apps from the App Store, so it offers entertainment beyond things you can watch. 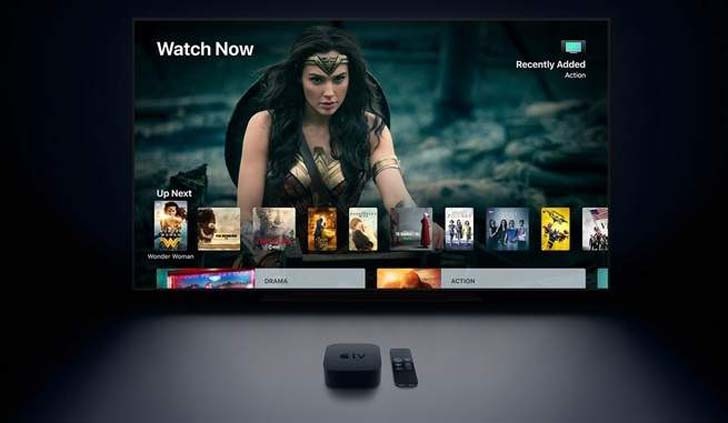 The Apple TV 4K also goes beyond its role as an entertainment device as a hub for the company’s HomeKit smart home platform. For instance, I was able to set up an automated process that turned on the living room lights (powered by Philips Hue bulbs), when I walked through the door. Again, this requires further assimilation into the Apple ecosystem, but it sure is handy when you have an arm full of groceries. If you plan on using the extra features, then the Apple TV 4K is definitely worth the extra cash. Just make sure your TV is up to it before taking the plunge. 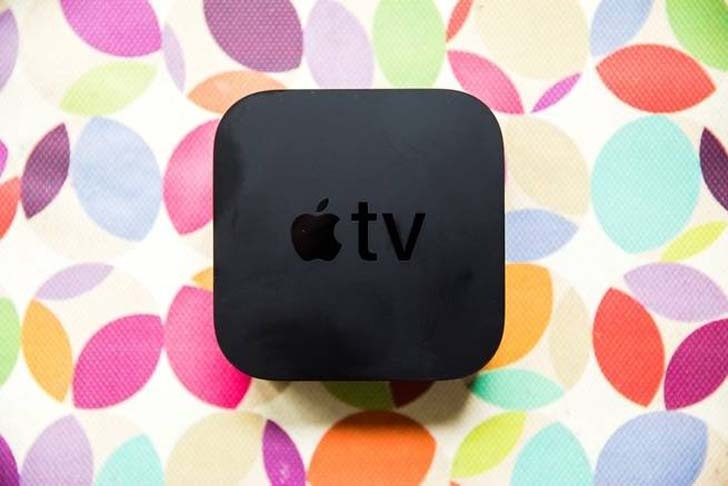 Tech Magazine: Can the Apple TV 4K be a cord-cutter's only streaming device?